Will the ocean stop accepting our carbon pollution? New science with Dr. Ryan Pereira in Scotland about climate reaction in the sea. Then a new bottom for nuclear madness: floating atomic reactors to the Arctic, and around the world. From Amsterdam, scientist and Greenpeace activist Jan Haverkamp explains why this new Russian business is bad for everybody. Or listen to each interview, or download them separately, using these permanent links. A very thin layer between the sea surface and the atmosphere may be a major factor in how hot and we get how fast. Since the ocean absorbs at least a quarter of all our greenhouse gas emissions, it’s a big deal how the sea surface microlayer operates now and in the future. We have news based on hard measurements, from a team of scientists in Great Britain. The lead author joins us to explain. Dr. Ryan Pereira is a Research Fellow at Heriot-Watt University, in Edinburgh Scotland. From low river air in the Amazon to the weird spot where the ocean and atmosphere mix, Ryan peers into microbiology and geochemistry of places barely visible to the human eye. His latest paper was published in the journal Nature Geoscience on May 28, 2018. I spoke to Ryan Pereira in Edinburgh. At first glance, the whole subject of this paper seemed fuzzy to me. Then I realized it’s because he is exploring places unknown to most of us. 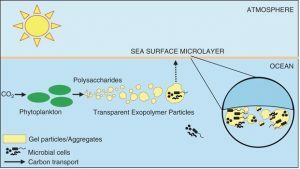 Hardly anyone knows about “the sea surface microlayer” or (SML). Ryan gives the example of looking at water in a drinking glass. If you look through a side, carefully, you can see a surface between air and water. According to other science, this SML is “ubiquitous” (at least between 50 degrees North and 50 degrees South) – and self healing within minutes when disturbed or broken. We have been taught to think there are just two states above the sea bed: the ocean, and then the atmosphere. In reality, there is a third layer, being a unique state neither sea nor air. The surface is a place. The sea surface microlayer contains a lot of particles. The most important may be bits of stuff from living things, like phytoplankton. The “stuff” may be a bi-product of those living things, or parts of their decomposition. The key: these materials and chemicals act as another word we hardly understand: as “surfactants”. “Soluble surfactants accumulating in the SML include transparent exopolymer particles, polysaccharides, lipid-like material, amino acids and chromophoric dissolved organic matter.” Now you know. Diagram courtesy of the journal Nature. I’ve seen the word “surfactant” on labels for some household products, and maybe as components of agricultural sprays or something. My dim understanding was a chemical or material that could change the surface tension of a liquid, which might make it stick, or flow better? In the case of the oceans, the gazillions of square miles or kilometers of oceans, increasing or decreasing the surfactants hovering at the sea surface can have HUGE impacts on the amount of carbon dioxide that penetrates from the atmosphere into the ocean. HOW MUCH OF OUR CARBON POLLUTION DOES THE OCEAN ABSORB? There are widely different numbers out there, from 20 to 40% of all CO2 in the atmosphere, including our pollution, being absorbed the by world’s oceans. The Abstract for this new paper begins, “Ocean CO2 uptake accounts for 20–40% of the post-industrial sink for anthropogenic CO2.” What ever number you accept, it’s a gigantic amount of CO2 taken down into the deep. If that did not happen, we might all be frying already. If it happens less as the oceans warm, then we get into greater trouble sooner. This new research shows that is happening, and suggests the ocean will become less of a sink for our industrial pollution. It’s very serious. The new paper is titled “Reduced air–sea CO2 exchange in the Atlantic Ocean due to biological surfactants.” It was published in the journal Nature Geoscience on May 28th. The new study is based upon a 2014 research voyage from a port on the Northeast coast of England, all the way to the capital of the Falkland Islands deep in the Southern Hemisphere. Each day Pereira took samples in a specialized trap that captured both water and air directly from the surface. It took a year to get the results back (the ship continued toward Antarctica), and more time to cross-check the results. There are at least two more new facts found in this paper. First, scientists assumed that at reasonable wind speeds, the surfactants on the surface layer would be dispersed, and thus carbon dioxide would mix well into the sea. This testing showed that the sea surface microlayer remained intact at higher wind speeds than previously thought. That’s not good news. The new science also underlines the existence of “hot spots” of carbon dioxide exchange in parts of the Atlantic, at least in the warmer months. All these tests were done in the Atlantic. The oceans do not have a universal formula for calculating carbon dioxide absorption. A lot depends on relationship to continents, ocean depths, wind, storms, and too many factors to list here. Scientists have devised rough formulas for different parts of the world oceans – but those numbers may have to be revised based on this paper, including in the Pacific. In addition, large-scale coupled climate models will also have to be adjusted. The assumptions made about how much carbon the seas are absorbing, and will absorb in a hotter future, need to be recalculated downward. That means the amount of carbon left in the atmosphere has to be recalculated upward, along with the temperatures. “New Oceans Study Could Alter Climate Predictions” at ecowatch.com. Or try this University Of Exeter Press Release. Now that climate change has melted the Arctic sea ice, Russia is scrambling to grab any new oil, gas or coal that suddenly becomes available along their northern shore. That way, climate change helps humans make climate change worse. But that is not the bottom of crazy. You haven’t heard outright madness until you hear this story from Jan Haverkamp. Jan is a trained scientist and a specialist in nuclear energy and radiation. He works for Greenpeace in Central Europe. 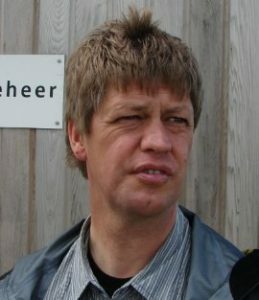 Jan co-founded the Brussels-based NGO Nuclear Transparency Watch. Haverkamp teaches environmental communication at Masaryk University in the Czech Republic. For years Jan lived and worked from Prague, but now he’s back in the Netherlands. It should worry us that a supposed “green” voice in Australia is being used by Russian state propaganda. But this reactor is no climate-saver! The main purpose is not to power a town of 5,000 people nearby, but to provide electricity for more coal mining, and for new oil and gas ventures, now that the Arctic is warming due to climate change! Many scientists on Radio Ecoshock have explained why the Arctic is uniquely vulnerable to pollution. What happens when this atomic barge has a major nuclear accident, or just sinks in a storm. Jan says the Russians do not explain any plan for that. Originally, Roseatom planned to load the nuclear fuel and test out the reactor right in the center of the major Russian city of St. Petersburg (formerly Leningrad). But a protest petition got thousands of signatures, a rare event when it comes to anything atomic in Russia. The plan was changed to tow the barge to Murmansk, up the Arctic coast past Norway, and fuel it there. Of course Greenpeace protested its transit of the Baltic Sea. The huge black barge (it hasn’t been painted yet) is called the “Akademik Lomonosov“. It is in Murmansk now. Then this radioactive barge will be towed through famously rough seas for thousands of miles/kilometers toward the eastern coast of Siberia. It’s going in the direction of Alaska, but will still be a long way west of Alaska. All the nuclear fuel, including the plutonium formed in these two submarine-type reactors, will remain on this flat-bottomed barge, building up over the projected 12 year life of the project. This is just a proto-type for many more nuclear barges planned by Russia. The Russians have tried to sell them all over the world, including to Indonesia and troubled countries like Sudan. Each one will be a magnet for proliferation of nuclear technology, (possibly leading to bombs) and a target for terrorism, war, or unrest. Even in peace, an accident helps add radioactivity to the sea. Most land-based reactors have some protective shell. To keep weight down, these sea-going reactors are not hardened against hits by rocket-propelled grenades or aircraft flying into them. In fact, Haverkamp tell us, all kind of safety corners are cut to get reactors mounted on a barge. You can’t exactly pour a lot of concrete around things, like land reactors. The first floating power reactor was actually created by the United States, back in the late 1960’s to power the Panama Canal (called the “Sturgis“). Jan Haverkamp tells us the Americans are just now getting around to decommissioning that reactor, decades and decades later. China and Japan are also developing floating reactors, which Greenpeace calls “floating Chernobyls” after the infamous wrecked reactor in the Ukraine. What could go wrong? Britain used to dump radioactive waste straight into the ocean in barrels – until Greenpeace protests helped stop that. There are a number of reactors now sitting at the bottom of the sea, including the American submarine USS Scorpion. Meanwhile, the Japanese are threatening to dump atomic pollution from the blown reactors at Fukushima. And now these reactors floating around. How much can ocean life take? I learned about this nuclear barge story from the venerable publication “Nuclear Monitor“. It’s the best for an inside look at nuclear safety – from experts outside the industry. A longer referenced version of Jan’s article is online: Jan Haverkamp, 2 May 2018, ‘5 reasons why a floating nuclear power plant in the Arctic is a terrible idea’. By the way, if you tuned in part way, or missed a show, you can get all our past programs absolutely free here at ecoshock.org. You don’t have to sign up or sign in, just browse the programs and download to your phone, computer or whatever. It’s possible to get an education in climate change, and what shapes our future, just from those interviews with the world’s top experts, authors, and activists. Those free downloads are paid for by listeners who support Radio Ecoshock. Be sure to tune in next week to Radio Ecoshock. 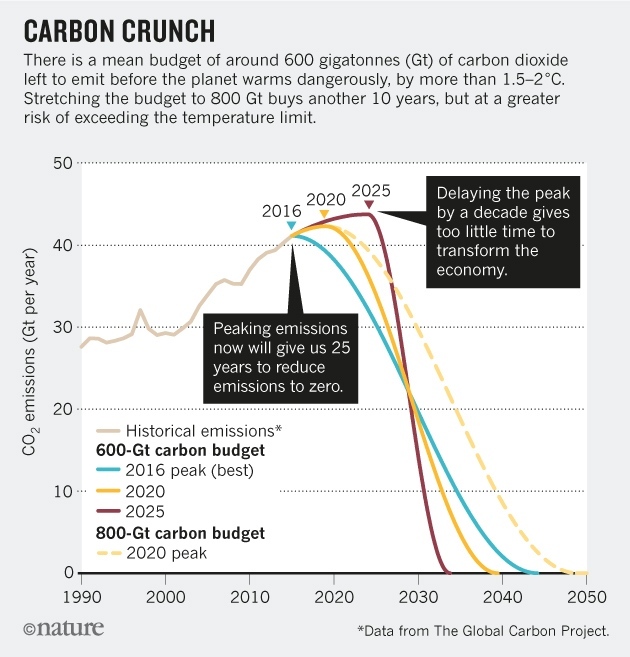 We’ll get the latest update on carbon emissions, and the fading hopes of even staying below two degrees C. this century. I’ll be talking with Dr. 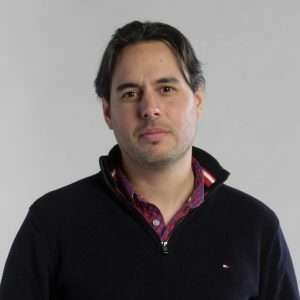 Pep Canadell, the Director of the Global Carbon Project. That is a network of hundreds of scientists – and they’ve found an unexpected bubble of carbon emissions in the first three months of 2018. Don’t miss that interview. Then we’ll hear about tropical cyclones (hurricanes) – they are moving slower and getting bigger as the world warms. Top NOAA expert Jim Kossin joins us. The thing about high-impact variables is that they cut both ways. We got 20 years to reduce all emissions 100% for 2 C.
We are reducing energy emissions 1% / decade. While total emissions keep rising. 2020 = 67% of wild vertebrates gone since 1970. Hi – Jan Haverkamp interview not downloading. I can play on my own computer, but not transfer it to listen elsewhere. Hi there. If you click on the sound bar, it just plays. To download, on most computers you right click on the link above (either CD Quality or Lo-Fi) and then choose “Save As” to save it to your hard drive. Again, some computers are set up to just play the file if you click on those links. You have to go to a menu that offers you the ability to save it (and take a note WHERE it will be saved, like in what folder). I hope this helps. To forward the interview, you would (in Windows) copy the interview link, and forward that. Excellent superlative, outstanding, breathtaking, I can’s say enough how great this interview with Jan H is. He’s so clear and on point to your questions. I don’t monitor nuclear risks like I do climate risks, so it’s really jolted me. Thank you for finding and providing a platform for these SMEs (subject matter experts) to educate us all.